In Clocks > Ansonia Clocks > Show & Tell. 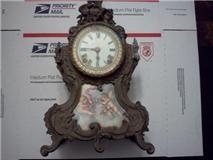 what would the value of this clock be ? It is tarnished,missing the keys,and back plate . I know this is a rare clock just curious!